In this post we explain how our infrastructure enables these rights for both users and providers of Mobility as a Service (MaaS). Whereas several private and centralized attempts to unlock these rights have failed, a decentralized approach won’t. Mobility is a public service as much as electricity and water, and should be treated as such: made publicly available for everyone, without being subject to the interests of big corporations’ shareholders. Firstly, we show how central initiatives (both private and public) have failed to create integrated MaaS marketplaces. Subsequently, we conclude the post by focusing on our key value propositions; anonymous travel, integration, speed and convenience. The idea is simple and pretty obvious: create a comprehensive marketplace where demand and supply meet, competition ensures fair prices, users and providers make a gain and everyone is happy. So, why would we need a blockchain platform to establish this marketplace? Why can’t we leverage on a centralized institution running a platform that sustains this perfect market equilibrium? Centralized institutions cannot establish a perfect marketplace, because of their structure. Fundamental aspects of their composition will disturb the balance needed in a perfect marketplace. For the ease of explaining these fundamentals we will refer to the passengers as users and the ones transporting the users as providers. Every central corporation, in the mobility industry, whether it is a taxi company or a peer to peer platform such as Uber or Lyft has an inherent economic conflict, which is commonly referred to as the extraction imperative. Regardless of how you skin it, central corporations have to push the providers to ‘provide for the lowest price possible’ and the users to ‘use for the highest price possible’. Not necessarily because they want to, but because their hosting solution and technical implementation is centralized. In that way, a centralized corporation makes a profit. Which is of course not bad, because they are delivering the trust for the providers and users to meet. However, bottom line is that a bunch of stakeholders have invested in this profit that the corporation makes. They expect to earn on that investment. Which means that we, users and providers, will be paying unfair prices to take care of their interest. Let’s say User A wants to pay 10€ to travel a certain distance and Provider Bwants to receive 10€ to travel that distance. In addition to unfair pricing, it is also in the best interest of central corporations to leverage an infrastructure in which they gain control over your personal data and are able to use it for corporate objectives. Furthermore, central corporations would like to keep exclusive rights over intellectual property in order to keep ahead of the competition. This slows down the development of MaaS solutions that can integrate and contribute to the greater good of society. We are not trying to say that our primary goal with VMC GO is to take on centralized corporations such as Uber or Lyft. What we are saying, is that we have access to the (blockchain) technology that can establish integration in the MaaS industry. To be precise, we do not only have access to it. We have already build the platform — VMC GO — that is in essence a fair marketplace. A marketplace which multiple MaaS apps can plug into simultaneously. Thereby, creating an autonomous economy without market flaws and shareholders benefiting from unfair pricing. Approaching the problem from a public perspective works in theory, but fails in practice. In theory, a state would love to create a mobility ecosystem — where its citizens would benefit from — without seeking to be profitable. Therefore, it takes out the economic conflict of push and pull, mentioned above. But attempting to create such a marketplace with public organizations poses bigger threats. Obviously, we have the classic argument that public projects do not have the right incentive or ‘market pressure’ to create great projects. As displayed in theDutch project, whereby at least 1.5 million euros were burnt in creating a comprehensive system — without success. This is painful, because that is tax money all citizens paid for. But, a bigger issue would be security. A network maintained by one single organization would have a single point of failure. Which makes forging data, or duplicating travel funds relatively easy. A very contemporary issue is persevance of privacy. Where do corporations — public or private — use our personal travel data for? Several studies have shown that it is near impossible to travel fully anonymously. Also, specialized anonymous travel products may betray users’ privacy expectations. The VMC GO wallet will enable fully anonymous travel, because no one owns the travel data. The only data stored on the blockchain are transactions between the public keys. Even with huge sums of external data it would be nearly impossible to link an identity to a public key. As a user in the current MaaS industry, you are engaging with different providers at the same time. You are part of a ride-sharing platform, you have installed your travel application and you have your local public transport cards/subscriptions. Each, functioning on its own set of (payment) rules and terms. A situation whereby you have one application providing you with all the mobility service you need, would be more convenient. But, convenience is not the biggest problem we are trying to solve here. When the user base of VMC GO grows — because of convenience and fair pricing — it will become more attractive for providers to join VMC GO as well. Since they have open market access to a large pool of users. More providers means more possible services. 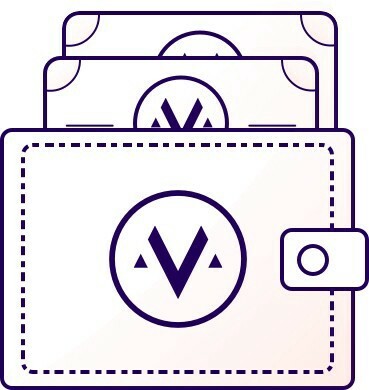 Services, users can buy with the same wallet and token (VAI). This would increase the travel speed of all users and would make it more attractive for new users to join as well. 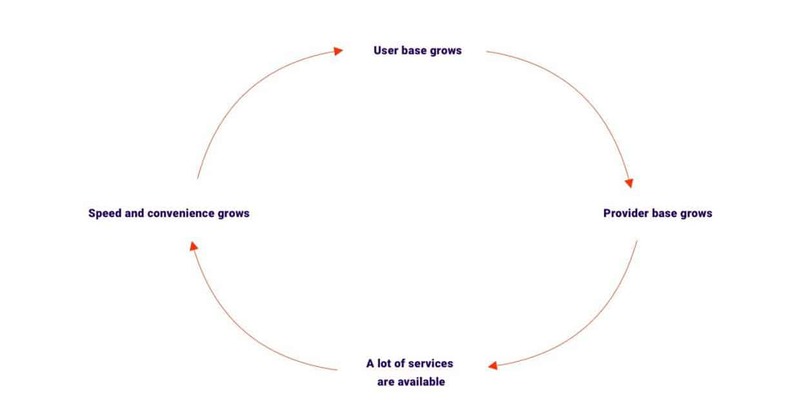 As new users join, the cycle continues, perfecting and streamlining itself as we go. Previous article App instead of Car?